The American consciousness is not at peace with its Native American history. 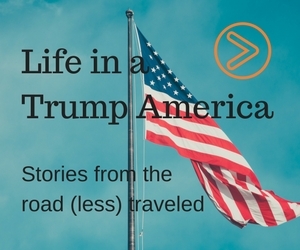 To learn more about this sobering situation, I traveled east from Portland on the I-84 to The Dalles, a rural community of cherry growers and wheat farmers, situated on the mighty Columbia River in Oregon. There I met with two young members of the Celilo Wyam tribe. Before I did, I went around town to ask locals how they perceive their relationship with their region’s indigenous people. My first stop in The Dalles was the Columbia Gorge Discovery Center & Museum, just off the Historic Columbia River Highway. The girl at the front desk was quick to refer me to two ladies in their sixties volunteering in the Center’s research library. I unfortunately lost their contact information, so I have to omit their names, but both took a considerable amount of time to school me in the history of the Columbia River Gorge. They described how this area had been a major trading hub for tribes wide and far for over a thousand years. Remnants of those times are still around. You would be hard pressed to find a greater density of Native American petroglyphs anywhere else. The construction of several dams in the 1950s for flood control and hydroelectricity, most notably The Dalles Dam, effectively put an end to traditional salmon fishing in the Gorge. Both volunteer researchers admit that the shame and guilt surrounding the devastating effects on tribal life lives on to this day. At the same time, they accept that some things can’t be undone and that it’s about finding the right balance going forward. The Discovery Center recently started involving tribe members in some of its programs. The Saturday following my visit several Celilo Wyam members would host a traditional basket weaving workshop. Small steps like these, both women feel, will help build bridges between Native Americans and the wider community. The next day I stop by at the little Chamber of Commerce on 2nd Street. The jovial, flower-patterned dress wearing Trella Boone Coy runs this operation. She suggests I pay a visit to the Fort Dalles Museum and talk to the director, Cal McDermid. Before I leave, I’m presented with a couple of chocolate covered cherries, a local delicacy. Before I visit the museum, I meet thirtysomething Hood River native Jay Crisman for lunch at Hawaii-themed Lilo’s restaurant. He and his wife recently moved to The Dalles because the cost of living in Hood River was going through the roof. He recalls a major oil train derailment last year in the Columbia River Gorge near the town of Mosier. Four of the rail cars, all carrying volatile Bakken crude oil, went up in flames. Native Americans have long protested these train transports because of the damage they can do to the environment. 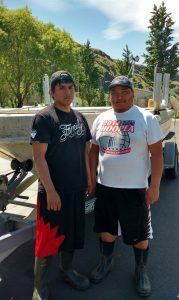 Steven (right) and his cousin Lane in front of their fishing boat in Celilo Village. They consider themselves brothers. As I’m guided through the Fort Dalles Museum on a private tour the following day, it’s hard to miss how proud mister McDermid is of the diverse collection he manages. 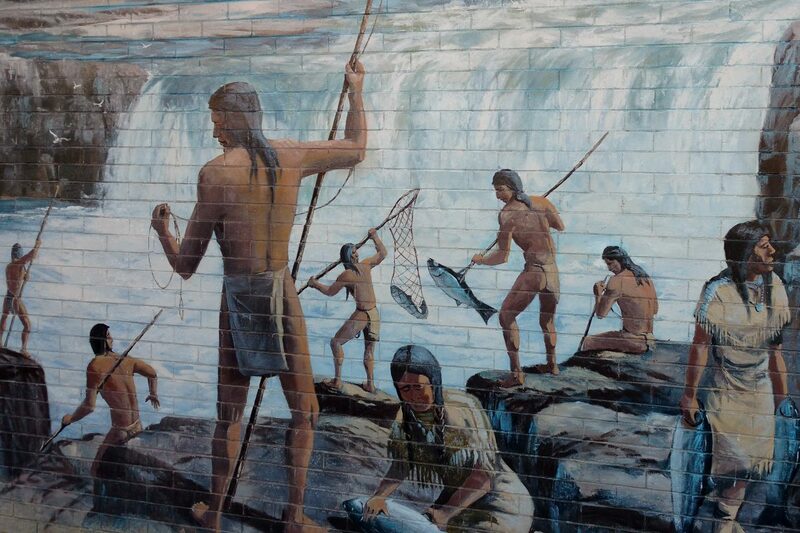 One room of the museum located on 15th Street is dedicated entirely to Indian life in the Columbia River Gorge. He was so adamant to “get it right”, he invited several tribe members to view the exhibition before he opened it to the public. Their approval meant a lot. He too admits there’s shame about what was done to Native American tribes. McDermid is aware of the lingering divide in the community. His hope is that with the museum he can contribute a little to fostering mutual understanding. Wednesday at noon I drive to Celilo Village, a town of eighty people, to meet Steven Begay and his cousin Lane – their grandmothers are sisters. Steven, whose tribal enrollment includes both the Yakama and Navajo Nation, lets his cousin do most of the talking. Lane was recently named sub chief to the acting chief, his father.